So, you’ve found the perfect solution to a problem that consumers have been struggling with forever – your business idea is ready to take off! But, will it make you any money? If so, how? 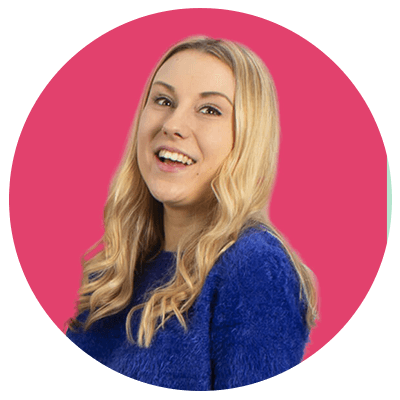 Without making a profit, you’ll not be able to produce your incredible product/service or hire your first employees – and as much as we’d like to say money isn’t important, it really is. The best way of planning for how your business is going to generate revenue is by creating a business model, AKA a profit model. Here, we’ll go through exactly what a business model is, what the different types of business models are and how to tell which business model is best suited to you! Essentially, your business model explains the way your business is going to make a profit and how you’re going to create ongoing value for your customers. This includes, which customer pain point your products/services are providing a solution for, your target audience, how your business processes work and how your business is going to carry out daily processes like reach new customers and business goals. What are the Different Types of Business Model? To figure out what kind of business model suits your business, you’ll first need to learn a little about the different categories that exist. There are countless different types of business model, and this list is not exhaustive. We’ve collated this list of the most popular business models so you can get to grips with examples of how other companies run their business. If your business produces its products using raw materials, it can be said to have a manufacturer business model. Need an example? UK company Rolls-Royce’s Aerospace and Defence division are the 2nd biggest jet engine manufacturers in the world, making around £12.3bn per year! A business which purchases its products from a manufacturer to resell to customers has a distributor business model. Wholesale distribution is when a business sells these products to other retail outlets rather than directly to customers. An example of a business with this model is food wholesaler Costco UK whose turnover exceeded £2bn in 2017. A retail outlet business model is great for business that purchase goods from a wholesale distributor and then sells them to the end user, like a member of the public. This is a really common business model, with huge businesses such as Amazon, Marks & Spencer and Boots fitting this type. Depending on the kind of franchise, this type of business can be a manufacturer, retailer or distributor. This is where the owners of an established business sell their rights to the business’ name and name, allowing a third party to operate using their name. If you’ve always wanted to run a business, but never knew where to start, owning your own franchise is a great option. Examples include huge names like McDonalds, Spar and Costa Coffee. This business model uses a range of omni-channel marketing methods to create a seamless shopping experience across different sales channels, e.g. online store and physical high street store. This is a really popular option for clothing retailers like Primark and Next. This business model is for businesses whose product is offered for free, then consumers are offered an upgrade if they pay extra. This business model works best for things like smartphone apps where there’s a free version, where money is made from ads, and a paid version where consumers pay for an ad-free experience. The subscription model works by having consumers as ‘members’ who sign up for a service and pay a recurring fee. This is a really popular business model for the health industry, like gyms and weight loss groups. What type of Business Model is Right for My Business? If you make things from scratch, a manufacturer business model could suit you well. If you resell to other retail outlets, a distributor business model is the one for you! Or, if you’re selling to an end user, i.e. the person who will actually be using the product, we’d recommend a retailer business model. Are your customers other businesses like wholesalers and retailers, or do you sell directly to the end user? Are you a brick and mortar store or an ecommerce business? If you’re both, a bricks and clicks business model would suit you down to a T! Are you a third party running a purchased business? If so, you’re a franchisee! The franchise model works for both the small business who purchases the licence (franchisee) and the existing business (franchisor) who sells franchise opportunities to potential small business owners. How Do I Create My Own Business Model? One way of creating your startup business model is by using Alexander Osterwalder’s Business Model Canvas (BMC) which is a template for planning a business’ financial activities. There are nine elements to the template to help you give structure your business plan quickly and efficiently. Key partners – any business alliances you might have. Key activities – the important actions your business must perform to be successful, like producing your products and problem-solving. Key resources – the things you need for your business to run successfully, including physical assets, human resources and finances. Value propositions – this essentially means why would a customer pick your product over another, so you’d include things like the unique selling point and other elements of your product/service that provides value for the customer. Customer relationships – the relationship your business wants to establish with its customers, such as a purely transactional relationship, a personal relationship based on human interaction or even co-creation, like YouTube where customers are encouraged to create their own content for the business. Channels – the ways in which you market your product to the customer. Customer segments – how you group your different customers based on their different needs and wants. Cost structure – the costs and expenses your business will incur when it’s up and running. Revenue streams – your business’ earnings and how it generates money from each customer segment. Armed with this information, you now have everything you need to determine which business model suits your startup the best. 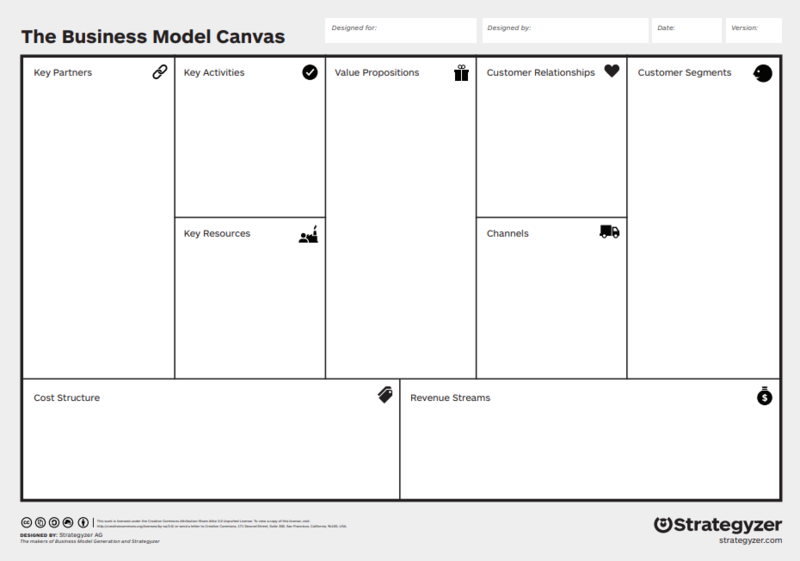 If you’d like to download your own version of the Business Model Canvas, you can access it here through Osterwalder’s website. Or if you’d like to carry on with the next step of planning your business ready for launch, check out our guide on how to write a business plan.